Did you know that the way you market a rental unit has everything to do with the quality of rental applicants? Not only that, effective marketing also can save time and money, reduce vacancy, and prevent tenant screening mistakes. 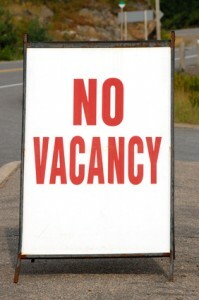 The secret to effectively marketing a vacancy is keeping the numbers low. One qualified renter is better than two unqualified applicants — and certainly better than 100 unqualified applicants. A high volume of calls only makes it seem like you are being successful, when in fact targeting is more efficient. The trick: include a lot of information about the property and terms so unqualified renters drop off. Set the rent just below maximum for the market. By doing so, you attract highly-qualified tenants. The best tenants won’t apply for a property that is overpriced. Dropping the price later only compounds the problem by attracting tenants who want to take advantage. Good tenants will attempt to avoid properties that are not in prime condition. Invest what it takes to bring the property up to snuff. Otherwise, you will attract less-qualified applicants, and run the risk of property damage, which very well may cost more than the minor upgrades the property needed in the first place. For Rent signs are an excellent way to advertise for tenants who are familiar with or aspire to be at the location. The sign should look new and convey necessary details about the property. Don’t put it up until the property is ready to show. You don’t want prospects to see previous neglect or damage. If possible, delay advertising the property until the current tenant has vacated. It’s uncomfortable to tour an occupied property, and also inconvenient to schedule tours around the current tenants. Ask happy tenants to refer others to the property. Alternatively, host a party in the common areas and ask tenants to invite friends and family. Provide marketing information for others to review. When a prospect calls, ask where they heard of the vacancy. Track your advertising efforts so you can compare methods based on the diversity of applicants, speed of responses and number of qualified versus unqualified applicants.